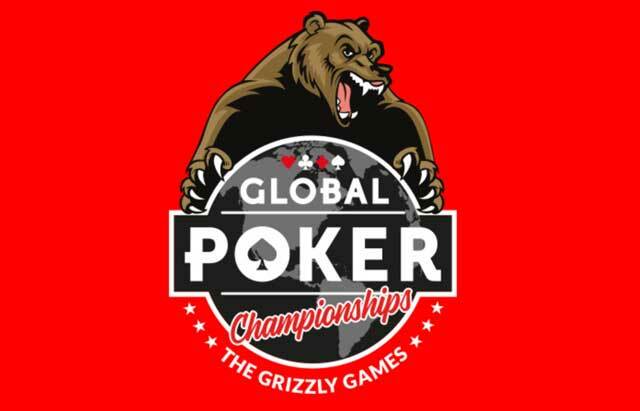 The Grizzly Games, the second championship series held by Global Poker, exceeded the expectations of all in involved when, in total, over $2,000,000 in real cash prizes were paid out to their players. Global Poker, the online site that caters to players from the U.S. and Canada using its unique sweepstakes-based system, offered an ambitious schedule that included a Main Event that was positioned to be the largest tournament ever held on the up-and-coming site. Over the course of roughly three weeks, the Global Poker team was offering north of 200 tournaments, at a variety of buy-ins, and $1.5 million guaranteed. When all was said and done, the guarantees shattered the $2 million mark with over 200 players crowned Grizzle Games Champions. Each of those players were awarded a real-life trophy (shipped to their house!) and a grab bag full of Global Poker swag including t-shirts, hats and more. The Main Event of the Grizzly Games did indeed turn out to be the largest tournament the site had ever held. Organizers places a SC$50,000 guarantee on the contest, more than they’d ever promised, but when 415 runners posted the SC$218 buy-in the prize pool shot up to SC$82,800 – blasting the guarantee by over SC$30,000! Players battled for their share but in the end, the winner of the Main Event was Maryland’s own ’smacchamp2015’. Not only did he claim the title of Grizzly Games champion but also the hefty SC$15,690 first place prize, one of the largest ever doled out on the young site. The overall leaderboard also provided some extra value, which was picked up by ‘MommyGingery’. The grinder took down two Grizzly Games tournaments and earned the right to represent Global Poker in a live tournament of their choosing with the $5,000 package awarded by the site. With the Grizzly Games in the books and it, by all standards, being considered a massive success, what can players look forward to a future championship series? While the site has yet to announce when the next online series will be, there’s no reason to think that Global Poker will take a step backwards – which means look for them to go even bigger the next time around. Getting started with Global Poker is easy. Players who sign up for the site get Gold Coins which allows them to play online poker for free. When players purchase additional Gold Coins, they are rewarded with additional ‘$weeps Cash’ and can then jump into games that use that currency. ‘$weeps Cash’ can be redeemed for real cash and payouts come with ease via PayPal.